How many panels you need will depend on your power needs, and on how efficient the panels are. There are many different models and suppliers of PV systems - and narrowing down your options to choose a suitable one can be confusing even if you've got a fair idea of what your needs will be like. What is my average daily usage? This is a good place to start. This figure is often shown on your power bill, and is typically represented as kilowatt hours (kWh) per day. Ideally, you should calculate your daily average by looking at previous bills over the last 12 months, so that your average reflects your usage throughout the seasons. Knowing how many kWhs you use per day on average will help you ensure that you're getting all of the power you need from your solar PV installation. How many kilowatts should my system be? Solar panel setups are normally explained in terms of how many kilowatts of power they supply. To put it in perspective, think of how much power your appliances draw. If you have a 1.5kW solar panel array, for example, it'll only supply a fraction of the power required by a 7kW air conditioner. It's also worth knowing that the rating for a solar setup is an 'ideal' rating, achieved under carefully controlled conditions. Obviously it's far better to reduce your energy consumption than to simply try and compensate for it with solar! Most of the time your panels won't produce quite as much power as they're rated for either - and some power will also be lost in the inverter. As an example, a 1kW rated solar system may only produce 800W. The answer to this will depend on how much energy you want to generate, how powerful you want the panels to be and how much room you have to place them. Some panels produce more power for the space they consume - and some roofs just won't have space for less efficient panels (even if they are cheaper). If, for example you've determined that you need a 1.5kW system, then six panels capable of producing 250W would do the job (i.e. 6 x 250W = 1500W = 1.5kW). The same output could also be achieved with ten 150W panels (i.e. 10 x 150W = 1500W = 1.5kW). In some circumstances, it may be cheaper to install ten lower-capacity panels. 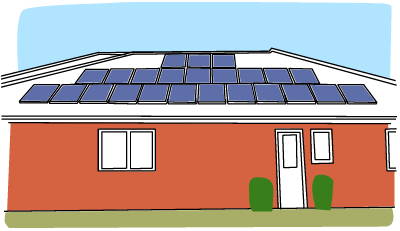 In most cases, if you own the roof then you should be able to install solar panels on it. Even if you need to add in more structural support to hold the weight, it's usually not too complicated. 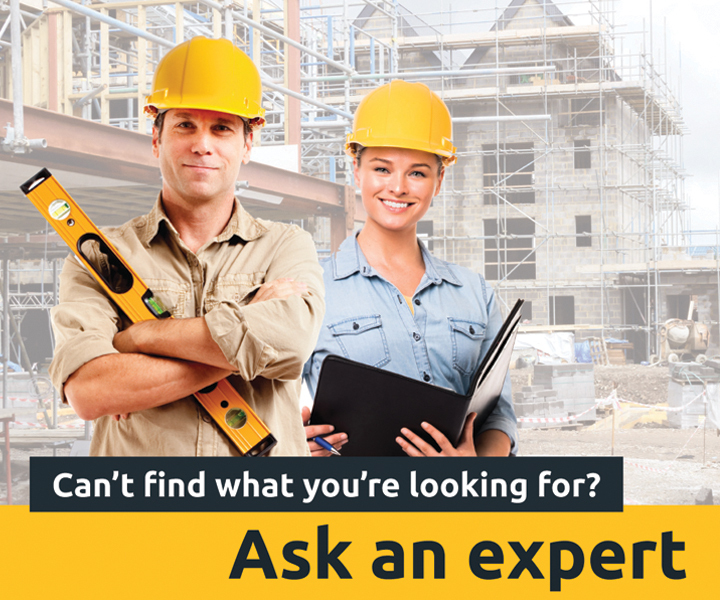 A solar installer should be able to advise you on whether your roof will support the weight. If you share the roof or you're part of an owners' corporation (or body corporate, in the old language), you may need to seek permission to install anything on it. Keep in mind that you'll really need a north-facing roof surface to install your panels on, and that they should ideally be angled at about 32º from horizontal. Apart from the panels themselves, you will need an inverter at the barest minimum. If you're hoping to feed electricity back into the grid, you'll also need a bi-directional smart meter. If you're wanting to be able to store the power you generate from your solar system so that you can also use it when the sun goes down, you'll also need a battery bank and a charge controller (also known as a 'regulator'). The closest alternative renewable energy source in terms of available home technology is wind power. Whether or not this is a better option will depend very much on how reliable a supply of wind and sun there is where you live. There are other alternative energy sources that you can use in your home (including tidal and geothermal energy) although for the time being these are considerably less popular, and therefore less accessible. What sort of standards and certification should I look for? Your system components must all comply with the Australian Standard AS4777 in order for them to be able to be connected to the grid. The Clean Energy Council provides a regularly updated list of approved components, so if you're not sure, check any potential product decisions against this list. Since solar panels usually have a very long warranty on parts, you'll want to look for a reputable company who will ideally be around in 15-20 years’ time should you run into problems. If the manufacturer is not in Australia, then the importer is responsible for the warranty. You need to be careful here - if the company changes business names or ceases trading, all responsibilities to honouring that warranty cease. As far as possible, look for a well-established industry supplier with a good reputation and a clear commitment to handle the entire process for you from start to finish. A final but very important point: solar installers all need to be accredited by the Clean Energy Council. If the installer and designers of the system aren't accredited, you won't be eligible to claim government rebates on your system. You can check an installer's accreditation at www.solaraccreditation.com.au.